This is a new official brand since November the 28th, founded by a joint venture between Chery and Israel Corporation, with active operational participation of Magna (who wanted to buy Opel in 2009). A powerful agreement between the largest Chinese Car provider (for the last 8 years at least) and one of the biggest Israeli Holdings. The news was not emphasized enough and in my opinion this is a mistake looking at what happened in the past when the Japanese and Korean OEMs were not given serious consideration. Effectively it looks like everybody is looking at Chinese with the same superior attitude. Why should we not ignore this issue? First of all because we are talking about the Number One. Secondly the project looks very interesting and challenging since it does not seem the typical Chinese approach. Thirdly a tangible amount of money (precisely $ 1.5 Billion) has been invested. Chery and the Israel Corporation strongly believe in the idea of building European cars to face the European invasion and competition over China. And European Cars can only be built by Europeans indeed. Thus the best Managers and Designers (former VW, BMW and Volvo employees) have been hired and housed into a comfortable environment away from any kind of Chinese influence, to build factories and choose suppliers with a strong European orientation and integration. Let’s see some European names within relevant positions. The Designer is Gert Hildebrand (former Designer Chief of Mini), the Vice Chairman is Volker Steinwascher (former VW USA Top Manager) and “dulcis in fundus” there is also an Italian chap, Cristiano Carlutti, as Sales Director (former VP Sales & Operations Tesla Europe). Regarding figures, we are talking about significant numbers here! Plants are capable of reaching a throughput of 500.000 vehicles/year. In the next months the ramp-up will be “only” of 150.000 units/year! However, what will they produce and who is their target customer assuming their main reference target is VW Group to penetrate Asia and Europe? The first model is already ready for Crash Tests. It will be a Sedan segment vehicle (rumors say something like Skoda), but there is still a lot of confidentiality about all the details. The only official information is about the first 3 models for the Chinese market will be ready by 2013. When will we see them on our European streets? Due to the Chinese Market consolidation there will be at least 3 or 4 vehicles to be distributed over the Old Continent, within a Network to be built from scratch, and additional investments in the electric mobility (Hybrid? Full Electric?… hopefully avoiding the same BYD mistakes!). Of course there are also additional info that I cannot currently disclose but there is still an outstanding doubt about their strategy represented by the penetration of the European Market! Our local market is undoubtedly in recession. Therefore what is the main reason for this strategic choice? The demand of the new Chinese generation, richer and fashion-loving? The devaluation of the European salaries and thus the need to have a European product at a Chinese price? The desire to create a strong competitive spirit against the powerful European Automotive OEMs (VW, Mercedes, BMW) to avoid further colonization in Asia? Or just a matter of image and benchmarking? Oh! By the way! The selling price? From 11,000 to 15,000 EUR…surely for the Chinese Market! Real food for thought. I still need to get my head around the Chinese products, BUT a lot of people made the same mistake when looking at the Korean marques like Hyundai and KIA. Its an ominous sign for competitors that Chery (or QOROS) have hired top people including Gert Hildebrand, because KIA did exactly the same thing with Peter Schreyer and have transformed themselves, in what seems over night, into a hot selling and appealing brand. thank you for this professional commetn. I love KIA and Hyundai product and, in particular, service. For Qoros, I agree completely with you…. I agree and share your anticipation. Gert Hildebrand is quite e creative mind. interesting article.. How soon the top players will get the cars into European standards will be very interesting, especially when you look at previous chinese attempts to enter the european market. Just search youtube for chinese car crash tests like Landwind or the Brilliance 6 against the BMW 7 series.. I think that says enough about chinese manufacturing standards. It took the Japanese companies years to enter ther European market starting in the 70’s, the Koreans have been with us now for about 20 years and have just recently got their act together so I guess the chinese will need at least 10 years too, assuming they can meet european standards of safety etc. In my opinion, but it is only my opinion, we could see on our european roads this new brand on the 2013/14. You have to consider that they started on the 2007, and the tecnology is different from ’70’s. Quoros is definitively an interresting brand and concept. We will see how they will launch their first vehicles in China but with the good people they have working in the key positions and their financial foundation they might be quickly on the market. For a long term success in Europe Quoros will have to prove competitive pricing and high quality standards. This is the difficult part for them to do. 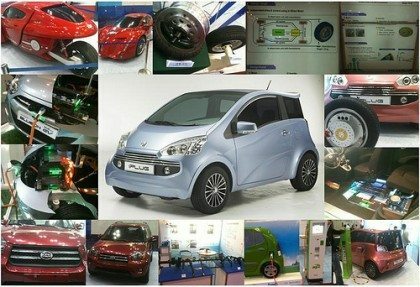 I agree with you….if you have news on this car-product, please feel free to write on this post. Magna, a name that was unknown to Italian journalists when they made an offer on Opel deal. Only people working in Automotive knew Magna-Steyr. But I think that also today in 2012, if you ask to an Italian journalist news about Magna, he does not what you are asking him. 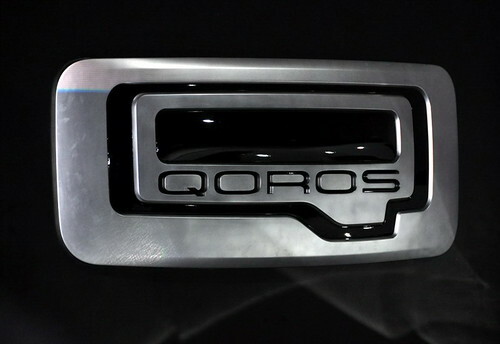 Have you seen the success of Qoros at the last Geneva Motor Show? Today, all european magazines talk about it with enthusiastically words. 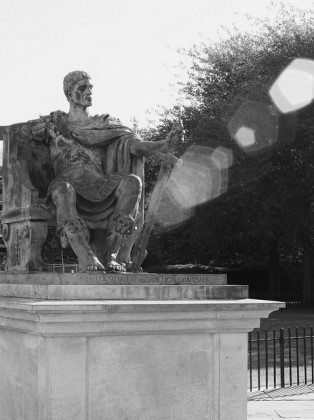 Almost everyone has heard the children’s story by Hans Christian Andersen, “The Emperor’s New Clothes”.